The sights, sounds and smells of summer are not like any other season – the barbecues, the beach, the sun! Summer is a special time of year full of long weekends, summer Fridays, baseball, music festivals; it’s the time to be outside and experience life! The modern consumer is passionate about experiencing life and sharing those experiences with others. A summer beach experience is the perfect time to create memories, putting down the phone and being present with those around you. 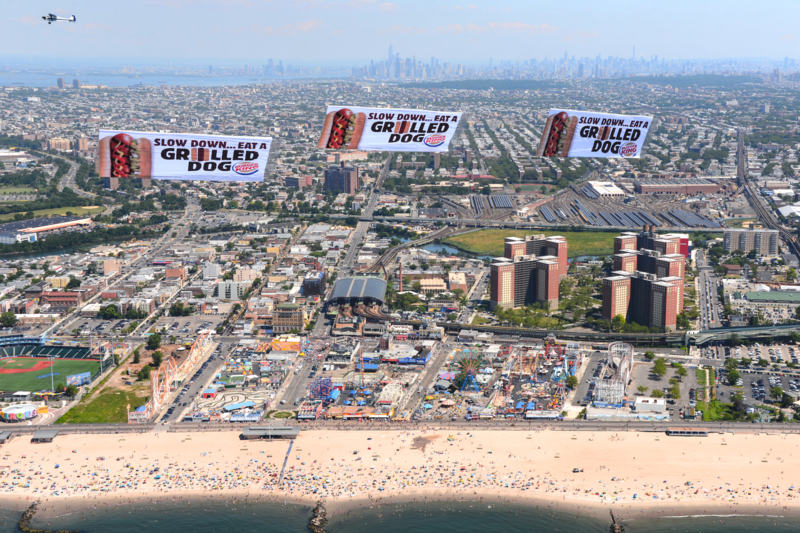 This is why summer is aerial billboard season! 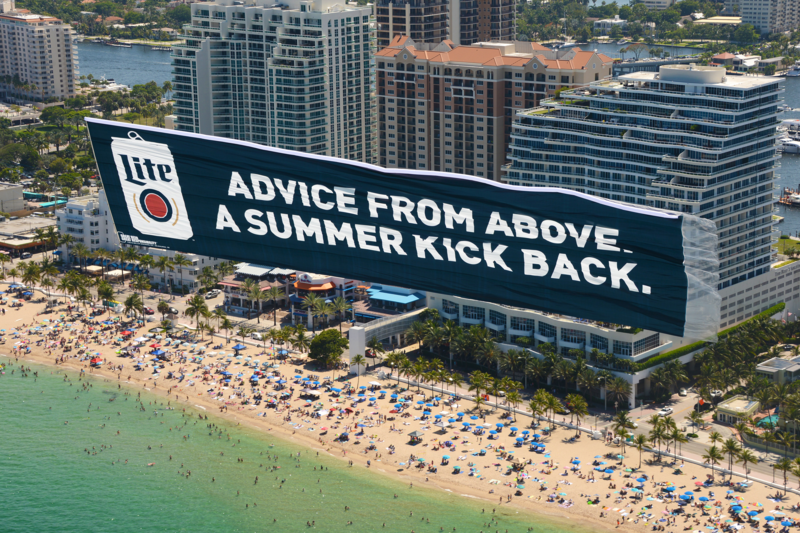 Brands have the opportunity to become part of these experiences with a memorable billboard in the clutter free sky. Memorial Day is almost here and we are very excited to show you what we have going on this season!